#2 : trade liquid stocks only. Good morning ... "Trading for a living" is in many minds .... to be able to stay at home (or anywhere we wanted to be) and earn money from trading markets!! Indeed ... it is the best of job : click buy-sell and money coming in our trading accounts and then, by end of month ... we withdrew some money for our salary!! 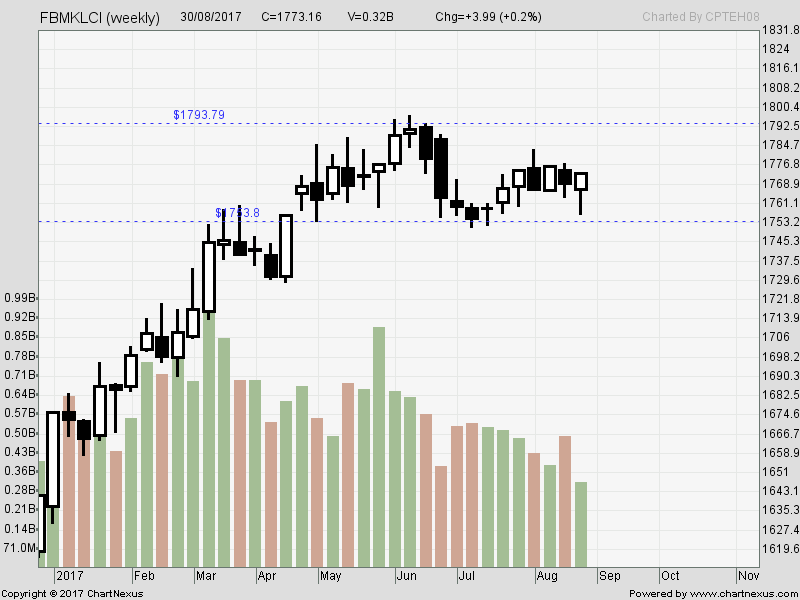 KLCI weekly chart ... sideway range : 1750 to 1800. 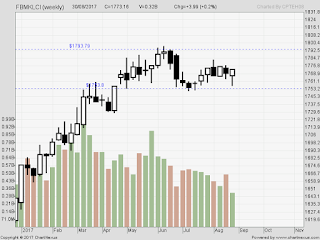 So ... long around 1750plus and short around 1790plus. So ... today is an off day, and will be using the day to prepare for my trades ahead with determination to do better. Technical-analysis is only 10%-15% in trading. LISTEN to that ... those trainers out there are NOT traders as they teach 'theories' which they do not back-test and not earning money from trading. Equip ourselves with KNOWLEDGE and EXPERIENCE. I highlighted the books that I have seen before and read 'few pages' from there. Will grab them into my kindle. Have to start to update my funds as I sold almost all my stocks ahead of the long weekend.